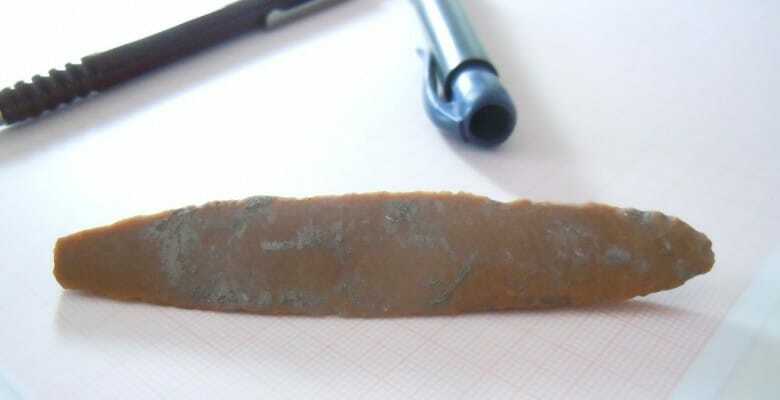 Another amazing find this week – a long flint blade was discovered in Trench H. This blade measured 9.8 centimeters in length and is an impressive example of a Neolithic tool technology. By the standards of Boncuklu, this is an unusually large retouched blade. While obsidian is the main stone material used at this site, flint/chert have also been found. Evidence suggests that these stone tools were made at the site from materials brought here by people from distances up to 100 to 200 km away. It is possible that this large flint tool was brought here rather than made at the site as there is lithic evidence of raw material arriving at the site of a size and form from which to manufacture such a blade. The blade was carefully placed on an ash layer in the middle of a grave like pit in B12. 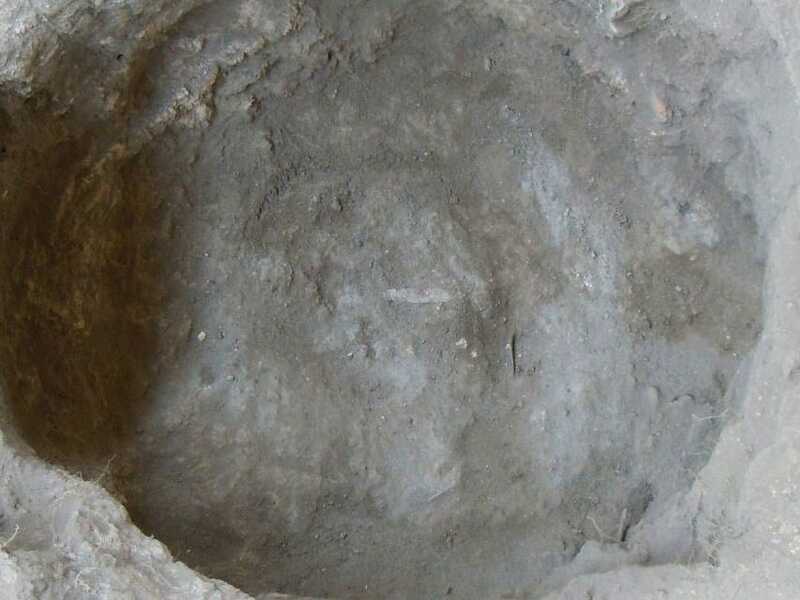 However, the pit contained no human remains. We see the placing of the blade as one of these enigmatic cases of special deposition that typify Neolithic communities in Southwest Asia/ Near East. Analsyis of this lithic is continuing in the labs.